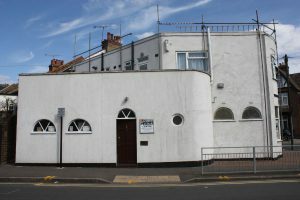 18 Byron Road, Wealdstone, Harrow, HA3 7ST. This place has a Hall (to accommodate 50 People), two small rooms, two toilets and a kitchen. Harrow Leisure Centre Car Park is Free for first three hours. Bus Route: H9, H10, 182, 140, 186 etc from Wealdstone High Road. 2. 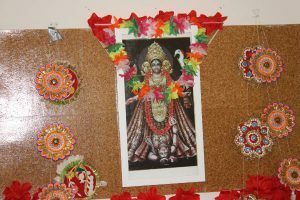 It was inaugurated on 20 May 2012 with puja. 140 to 150 people attended. 3. 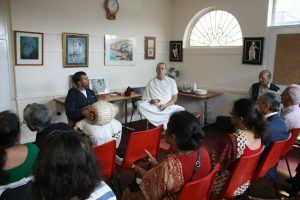 We are regularly holding Monday Luncheon Club at 12.30Pm with talks on Indian Heritage, Bhagbat Gita from ISKCON Temple and Vivekananda & Rama Krishna, with talks on Philosophical, Religious, Historical and current topics. 4. Monthly celebration of Full Moon (Purnima, Satyanarayan). 5. Monthly celebration of New Moon (Amabashya).